The Hopkins Forest Preserve — Ten minutes from Petersburgh, N.Y. 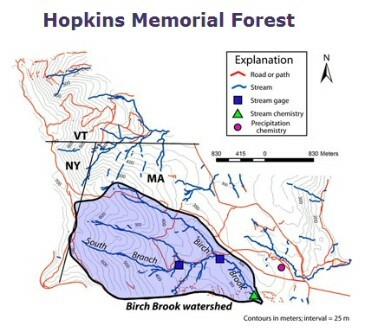 The 2,500 acre Hopkins Memorial Forest straddles three states and offers spectacular views of the Taconic Range, the Berkshires, and the Green Mountains. 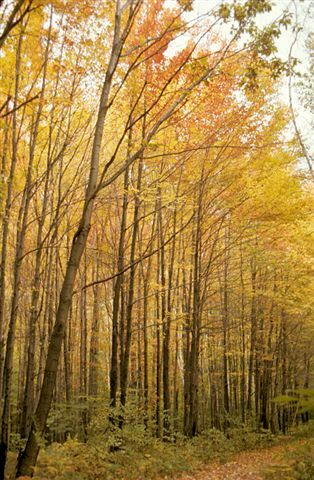 The forest sits on the ridge separating New York and Massachusetts and winds through stands of maple, birch, beech and cherry. Open meadows provide views into the rich farmland of the Taconic valley to the west, and Vermont's Green Mountains to the east.